National Geographic Children's Books, 9781426333255, 160pp. ELLA SCHWARTZ received two degrees in engineering from Columbia University. She works as a cybersecurity warrior, helping to keep the Internet safe. 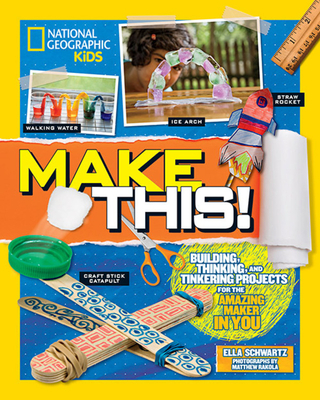 Schwartz writes fiction and nonfiction books for young readers with a focus on STEM. When she's not working, writing, or training to run a marathon, she volunteers on outreach initiatives to promote women in science and improve science literacy.